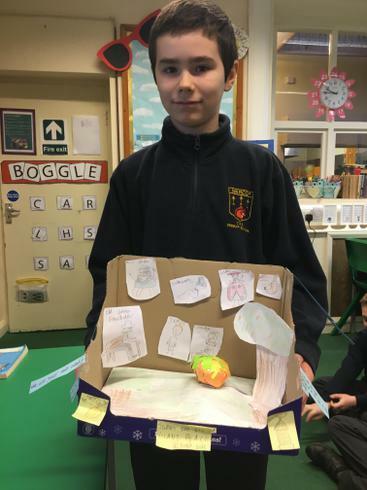 Rory based his book in a box around the classic tale 'James and the Giant Peach' by Roald Dahl. 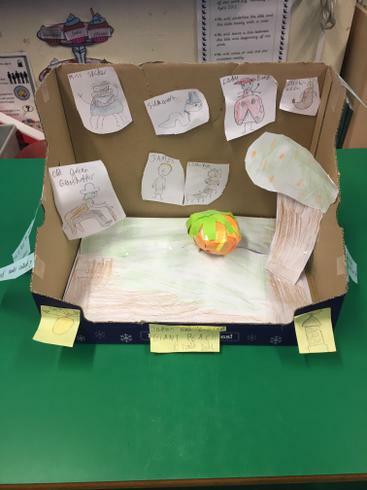 He explored and discussed the characters in the box, along with the important role the peach played with the story. 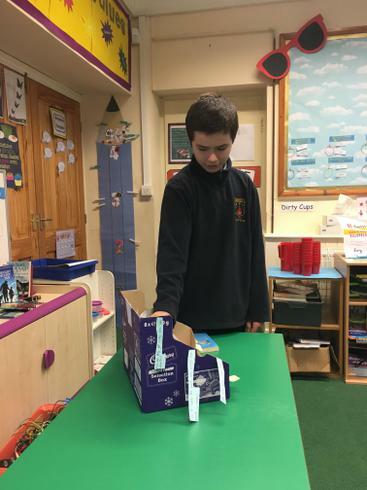 Star piece: The giant piece that Rory had created as part of his scene in the garden!